One of my first symptoms of my pregnancy was tremendous amounts of itching on my breasts, belly area, and underarms. Oh my goodness, I thought I was going to rip my skin off. I know, I know I am not suppose to scratch but I just couldn’t help it. I would try to scratch with my own clothes or a towel but sometimes I just couldn’t help it and used my lovely nails. I knew I had to buy something to ease this discomfort because it was pretty bad and getting pretty uncomfortable. I tried several natural lotions but nothing seemed to work. On one of my doctor visits while waiting in the waiting area I was reading a magazine and saw and advertisement for a popular brand lotion that is exactly for that, itchiness and stretch marks during pregnancy. I wrote down the name and decided that on my next trip to Target I would look for it and buy it. It wasn’t a complete all natural lotion but I was just desperate. On my next trip to Target I looked for it and couldn’t find it but what I did find was one from the Honest Company, Organic Belly Balm, and I just bought it. Didn’t think twice about it. Remember I was desperate! As soon as I applied it I felt tremendous relief. I was in heaven. Not to mention the fact that it smells really good and it has a nice texture that makes it really easy to apply. I had read online that some people found it too greasy or that it stained their clothes but I had no problem with it. I personally don’t find it greasy at all and I usually apply it at night or in the morning and wear a robe before I put on my clothes so I really haven’t had a problem with staining my clothes. I found that it really helped with my itchiness and has slowly diminished but I still occasionally get the big time itchiness craze that as long as I apply Honest Co. Organic Belly Balm it goes away. It really is comforting. I will highly recommend this balm to all pregnant women that might be suffering from itchiness just like me. It is made with a blend of organic butters, botanicals and antioxidants. For example: shea butter, olive oil, tamanu oil, botanicals and omega oils. It has no harsh chemicals and non toxic ingredients. It not only helps with itchiness but it also helps restore moisture, tones skin, soothes sensitive and dry skin including eczema. I love it, love the smell, love the comfort and love the fact that it has organic non toxic ingredients. I have even started to apply it to my daughters dry skin problem areas, her arms and legs. She suffers minimal problems of eczema and when I read it was good for that as well I started to apply it on her and it has really helped. **Tip: I found Honest Co. Organic Belly Balm at Target but you can also buy it directly from the Honest Company website or even through Amazon. Unos de mis primeros síntomas del embarazo fue la comezón. Me daba tanta comezón en el pecho, en el abdomen y en las axilas que era muy molestoso. De tanto rascarme pareciera que me iba arrancar la piel. Muy frustrante. Y sí, ya se que no es bueno rascarse pero trataba de hacerlo con una toalla o usando mi misma ropa para darme un poco de alivio. Trate varias cremas naturales y la verdad aunque son buenas para mi en lo personal no me sirvieron para la imensa comezón que me daba. Un día mientras estaba esperando ver a mi doctora en la sala de espera me puse a leer una revista y mire un anuncio de una crema que era específicamente para eso- comezón y estrías. Apunte el nombre y en mi siguiente visita a la tienda Target la iba a buscar y comprar. En la tienda la busque y no la encontré pero mientras estaba buscando esa crema encontré otra de la compañía Honest y decidí comprarla. No la pensé dos veces porque la verdad me urgía. En cuanto regrese a la casa me puse en todas las áreas donde me estaba dando comezón y rápidamente sentí una gran calma y alivio. Se me quito la comezón. Luego me puse a leer un poco en el Internet sobre esta crema para leer revisiones de la crema de otra gente. En lo general mucha gente tenia buenas cosas que decir sobre la crema pero había otra que decía que se les hacia muy grasosa y que les manchaba sus prendas de ropa. Para mi en lo personal no se me hizo grasosa y no me he manchado ninguna prenda de ropa. La verdad tiene un olor muy rico, es fácil de aplicar y yo me la pongo por las noches o al salir de bañarme y me pongo una bata de baño mientras me arreglo y de esa forma no afecta mis prendas de ropa. Lo que me encanto de esta crema, Organic Belly Balm de Honest Co., es que es orgánica y tiene ingredientes naturales y no tóxicos. Es una mezcla de mantequillas orgánicas, productos botánicos y antioxidantes. Por ejemplo: la manteca de karité, aceite de oliva, aceite de tamanu, botánicos y aceites omega . No tiene productos químicos y los ingredientes no son tóxicos . No sólo ayuda con picazón sino que también ayuda a restaurar la humedad, tonifica la piel, suaviza la piel sensible y seca, incluyendo eczema. Se las recomiendo a todas las mujeres que estén actualmente embarazadas y que sufren de comezón como yo o que tal vez quieran algo para evitar estrías. También le empecé a poner a mi hija que sufre de un poco de eczema, la verdad le brotan áreas casualmente por sus brazos y piernas de resequedad y note que también le ayudo mucho porque se le quita y alivia de inmediato. Así que también para personas que sufren de eczema se las recomiendo. **Tip: Yo compre esta crema de Honest Co., Organic Belly Balm, en Target pero también la puedes comprar directamente del sitio Web de la compañía Honest o también la encontré en Amazon. There is a huge problem with the famous hazelnut spread, Nutella, and the problem is that- It’s insanely addicting! Why oh why is it so good? Why is it so addicting? It can easily be added to any bake good, cookies, sandwiches, fruit or you can even eat it right out of the jar because it is that good. Children love it and even us adults love it too. During my first pregnancy I craved this delicious spread and towards the end of my pregnancy I literally had a Nutella sandwich with a big tall glass of milk every night. I recently started to crave it and on a recent trip to Costco I almost bought it since it was such a good deal but then I stopped to look at the ingredients and decided that maybe this time around I could certainly find a hazelnut spread with better ingredients. My food choices have changed so much since my first pregnancy so I usually look at food and nutrition labels more often now in products. So, I left the Nutella right back on the shelve and made it my mission to look for a similar product but with better ingredients. After all, it is my passion to find products with better quality ingredients than the common and popular products that may not always be the best choice. I ended up going to Wholefoods Market and found the perfect alternative, Natural Nectar Choco Dream Hazelnut Cocoa Spread, it is just like Nutella but with better quality ingredients. I loved it and do not miss Nutella at all because it is the perfect hazelnut chocolate butter. Nutella– Sugar, Palm Oil, Hazelnuts, Cocoa, Skim Milk, Reduced Minerals, Whey (Milk), Leichtin as Emulsifier (Soy), Vanillin: An Artificial Flavor. Natural Nectar Choco Dream– Sugar, Non Hydrogenated Palm and/or Canola Oil, Hazelnuts, Low Fat Cocoa Powder, Skim Milk Powder, Whey, Soy Flour, Soy Lecithin, Almonds. I would like to highlight one of the ingredients listed on the label of Choco Dream and that is, Non Hydrogenated Palm and/or Canola Oil. Hydrogenated oils are often healthy in their natural state but are quickly turned into poisons through the manufacturing and processing they undergo. The result are oils whose chemical structure has been altered to prevent rancidity in foods which increases shelf life and saves money to manufacturers. As the level of hydrogenation increases, the level of saturated fat increases. Trans fats work against the body in so many ways. Two major ways are that they produce inflammation in your body and they increase bad cholesterol. Hydrogenated oils are a huge red flag and if not stated on food labels most likely the food product contains hydrogenated oils. Trans fats are better to be avoided to avoid or worsen any heart disease. Another ingredient I wanted to highlight is Vanillin which is found in Nutella. Vanillin is a vanilla extract alternative made from wood pulp. It is commonly used in food products because it is cost effective to manufacturers. And, unlike real vanilla extract which is produced from real vanilla beans, vanillin is synthetic and may be produced using petrochemicals and byproducts from the paper industry. Unfortunately, because it’s cheap, the stuff is everywhere. It is not completely harmful but it is an ingredient that is man made and not necessarily a great choice. I am not discouraging anyone from eating Nutella because it is delicious, I admit, and it is a great alternative to peanut butter or almond butter. It is a sweet spread that can easily be added to all of your favorite foods and it will taste amazing. 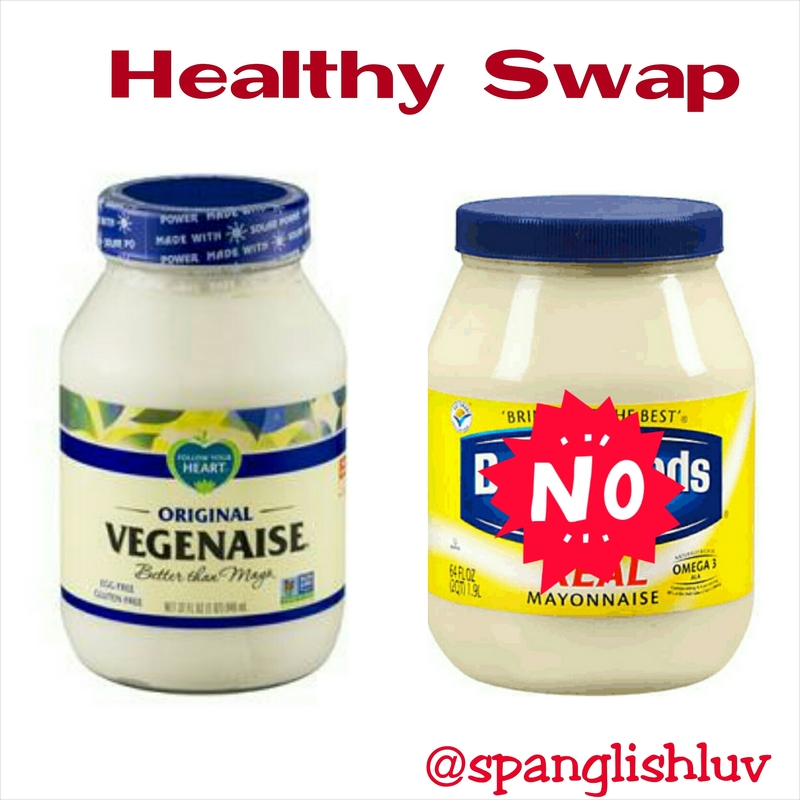 The idea of this Healthy Swap is that you can find similar products that taste the same and give you that same satisfying feeling but with better quality ingredients. Therefore, you are eating something that you know is better for you and is not harmful or unhealthy for you. So, if you are looking for a better alternative to Nutella give Choco Dream a try. I am sure you will fall in love with it and may even make it your new hazelnut spread addiction. ***Tip: I found Natural Nectar Choco Dream Hazelnut Cocoa Spread at my local Wholefoods Market but if by any chance you don’t have a Wholefoods Market nearby I found that Amazon carries it too. I haven’t looked for it at any other stores but if I find it I will updated you here. Hay un enorme problema con la mantequilla de avellana Nutella y el problema es que es increíblemente adictiva. ¿Por qué es tan deliciosa? ¿Por qué es tan adictiva? Fácilmente se puede añadir a cualquier producto horneado, galletas, bocadillos , fruta o incluso se puede comer directo del frasco, así de rica es. A los niños les encanta y hasta nosotros, los adultos también nos encanta. Durante mi primer embarazo se me antojaba mucho esta deliciosa mantequilla de avellana, Nutella. Al final de mi embarazo literalmente me comía un sándwich de Nutella con un vaso grande de leche cada noche . Recientemente me dieron los antojos de Nutella una vez más y en un reciente viaje a Costco casi la compro ya que era una buena oferta . Pero me detuve a mirar los ingredientes y decidí que tal vez esta vez podría encontrar una versión de Nutella con mejores ingredientes. Mis opciones de alimentos han cambiado mucho desde mi primer embarazo, así que normalmente leo las etiquetas de alimentación y nutrición antes de comprar el producto. Empeze mi búsqueda de una mejor versión de Nutella y la encontré en la tienda Wholefoods Market y es- Natural Nectar Choco Dream Hazelnut Cocoa Spread. Sabe igual a Nutella pero contiene mejores ingredientes. 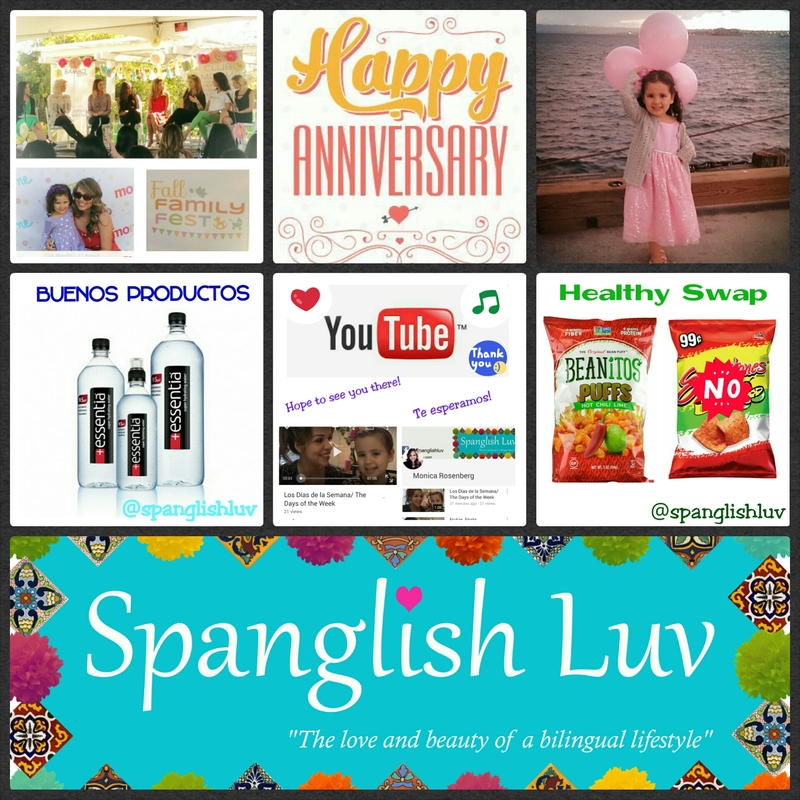 Para mi esto es lo que me gusta y apasiona- el encontrar productos que sepan igual a los famosos y favoritos productos de comida pero con mejores ingredientes y mas saludables. Nutella– azúcar , aceite de palma , avellanas , cacao , leche descremada , minerales reducidos , suero de leche ( leche ) , Leichtin como emulsionante ( soja ) , vainillina : Un sabor artificial . Natural Nectar Choco Dream Hazelnut Spread– azúcar, aceite de palma o canola no hidrogrenado, avellanas, cacao bajo en grasa en polvo, leche desnatada en polvo, suero de leche, harina de soja, lecitina de soja, almendras. -Más sobre la nutrición de estos dos productos arriba. Me gustaría destacar uno de los ingredientes listados en la etiqueta de Choco Dream Hazelnut Spread y es- aceite de canola o palma no hidrogenado. Aceites hidrogenados suelen ser saludables en su estado natural, pero rápidamente se convierten en venenos a través de la fabricación y procesamiento que sufren. El resultado son aceites cuya estructura química se ha modificado para prevenir la rancidez en los alimentos que aumentan la vida útil y ahorra dinero a los fabricantes. Como el nivel de hidrogenación aumenta, aumenta el nivel de grasas saturadas. Las grasas saturadas trabajan contra el cuerpo de muchas maneras. Dos formas principales son que producen inflamación en el cuerpo y aumentan el colesterol malo. Aceites hidrogenados pueden ser muy peligrosos y si no indicado en las etiquetas de los alimentos lo más probable es que el producto alimenticio contiene aceites hidrogenados. Es mejor evitar las grasas saturadas para evitar ó empeorar cualquier enfermedad del corazón. Otro ingrediente que quería resaltar es la vainillina que se encuentra en Nutella. La vainillina es una alternativa de extracto de vainilla hecha de pulpa de madera. Se utiliza comúnmente en productos alimenticios porque es economica para los fabricantes. Y, a diferencia de la verdadera vainilla extracto que se obtiene de vainas de vainilla real, vainillina es sintética y puede ser producida usando derivados y subproductos de la industria del papel. Por desgracia, porque es barato, vainillina se encuentra en muchos productos de comida. No es totalmente dañino pero es un ingrediente que es hecho por el hombre y no necesariamente una gran opción. No desaliento a nadie de comer Nutella porque es muy deliciosa, lo reconozco, y es una gran alternativa a la mantequilla de maní o mantequilla de almendras. Es una dulce mantequilla que fácilmente puede ser agregada en todas tus comidas favoritas y sabra increíble. La idea de este intercambio saludable es que uno puede encontrar productos similares que saben igual y darán esa misma sensación satisfactoria pero con ingredientes de mejor calidad a los famosos y populares productos. Por lo tanto, asi uno estara comiendo algo que sabe y es mejor para uno y no es nocivo o insalubre. 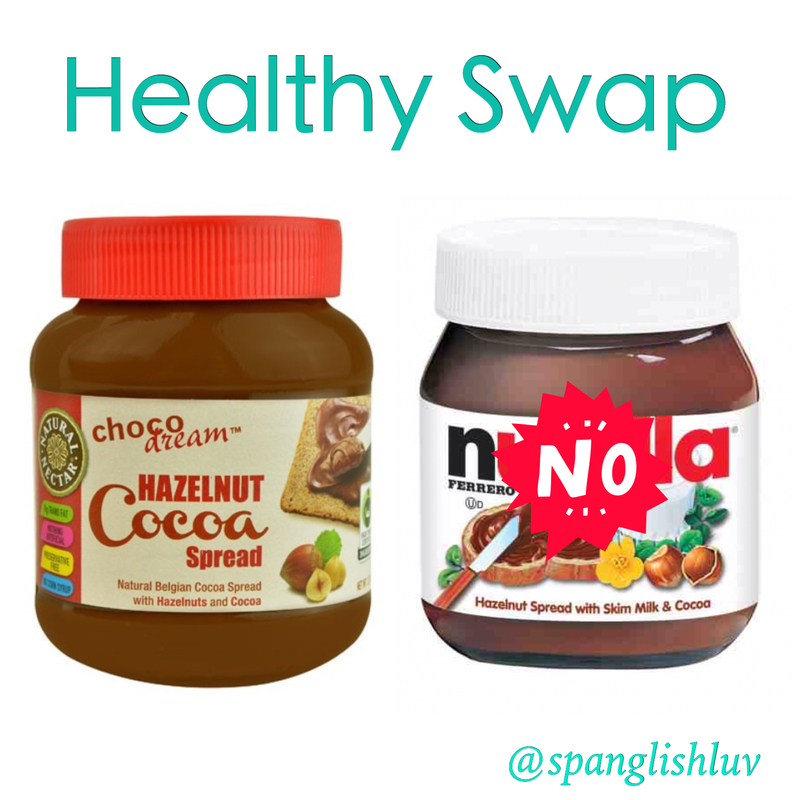 Si buscas una mejor alternativa a Nutella, Choco Dream Hazelnut Cocoa Spread es una buena opción. Estoy segura de que les encatara e incluso convertirse en su nueva adicción. ***Tip: Encontré Natural Nectar Choco Dream Hazelnut Cocoa Spread en mi mercado local, Wholefoods Market, pero si por casualidad no tienes un Wholefoods Market cerca lo puedes encontrar en Amazon. No busque en otras tiendas pero si encuentro les avisare aquí. We visited the San Diego Zoo this past Saturday and it was so much fun. Not to mention that kids have free admission all month of October, yes you heard right, free!!! Kids under the age of 11 years old enter free. This just made the trip a little extra exciting. I remember taking Natalia when she was two years old and she pretty much slept half the time we were there. This time around she was walking around, asking questions, she had a list of animals she wanted to see and carried the map (map the zoo provides with location of animals) leading us to her next must see stop. It was a completely different experience. A more engaging experience. As soon as we entered since we noticed that there was hardly any line for the bus tour we decided to make that our first stop since it gives you a tour of all the park and we wanted to make sure we had the chance to see as many animals as possible since it was a pretty hot day and riding a bus seemed pretty appropriate in order to cover as much ground. We highly recommend the bus tour since you really do get to see a lot in a comfortable manner. The zoo provides so much food options and eating areas that in case you get hungry you have plenty to choose from but if you really want to save and enjoy your own food you can bring along all of your favorite snacks and food in your tote bag or backpack. It really is a family friendly place where you can enjoy the animals as well as your own food and snacks. There are also great animal shows throughout the day, an Ice Age 4-D theater, skyfari arial tram, many children play areas and much more. Not to mention all of the animals that you can see. My daughter really wanted to see the pandas and although there is a line you have to go through to see them it went really fast and we didn’t mind it at all because the pandas are just too cute. Currently they have a panda cub and his mom which you really should not miss the opportunity to see them, they are too cute. In addition to the pandas we saw a beautiful polar bear, lions, tigers, elephants, monkeys, tortoise, frogs, crocodiles, reptiles, birds, koalas, flamingos, zebras, and many more. There are just too many to list. The San Diego Zoo really is a wonderful and family friendly place to visit. Did I mention kids have free admission all month of October? Just an added perk to visit the amazing and beautiful San Diego Zoo. Este sábado pasado visitamos el zoológico de San Diego y fue muy divertido. Sin olvidar de mencionar que en todo el mes de Octubre los niños entran gratis. Sí oyeron bien, gratis!!! Niños menores de 11 años de edad entran gratis. Esto es solo una razón mas por la cual visitar el zoológico. Recuerdo que llevamos a Natalia cuando ella tenía dos años de edad y casi durmió la mitad del tiempo que estuvimos allí. Esta vez ella estaba caminando, haciendo preguntas, tenía una lista de animales que quería ver y traía el mapa (mapa que el zoológico ofrece con la ubicación de los animales ) indicándonos donde estaban los animales y cuales ella quería ver. Fue una experiencia completamente diferente. Una experiencia mas interactiva. En cuanto entramos al zoológico nos dimos cuenta de que casi no había línea para el autobús turístico y decidimos hacer el tour de camión nuestra primera parada , ya que le da un recorrido por todo el parque y queríamos asegurarnos de ver lo mas posible ya que era un día muy caluroso y viajar en un autobús era bastante adecuado con el fin de cubrir lo mas que se pudiera. Recomendamos el recorrido en autobús , ya que realmente llegas a ver mucho y en una manera muy cómoda. El zoológico ofrece varias opciones de comida al igual que zonas para comer en caso de que les de hambre tendran de mucho de donde escoger, pero si realmente quieres ahorrar y disfrutar de tu propia comida la puedes traer en tu bolso de mano ó mochila. Realmente es un lugar familiar donde se puede disfrutar de los animales, así como tu propia comida y aperitivos. También hay grandes espectáculos con animales durante el día, un teatro 4 – D de la película Ice Age, una tranvía arial llamada skyfari, muchas áreas de juego para los niños y mucho más . Hay tantos animales que puedes ver en el zoológico. Mi hija realmente quería ver a los pandas y aunque hay una línea que se tiene que hacer para poder verlos se fue muy rápido y no nos importó en lo absoluto ya que los pandas son demasiado lindos y valen la pena esperar para verlos. Actualmente se ecuentran un cachorro y su madre, que no se puede dejar de ver. Además de los pandas vimos un hermoso oso polar, leones , tigres, elefantes , monos , tortugas, ranas , cocodrilos , reptiles , aves , koalas , flamencos , cebras , y muchos más. Son demasiados para mencionarlos a todos. El zoológico de San Diego es un maravilloso lugar familiar y agradable para visitar. Ah, y ¿mencioné que los niños entran gratis todo el mes de octubre? Es sólo una ventaja adicional para visitar el increíble y hermoso zoológico de San Diego. I know, I know you probably are a fan of one of the most popular cookies if not the most popular cookie in the world- the Oreo Cookie. What is there not to love? Chocolate cookie, vanilla filling, sandwich cookie, crunchy, sweetness, chocolaty, perfect with milk; should I go on? I completely understand because I too am a fan. I grew up eating these cookies and they are delicious but if you are looking for a better alternative with better ingredients I have found the perfect swap. 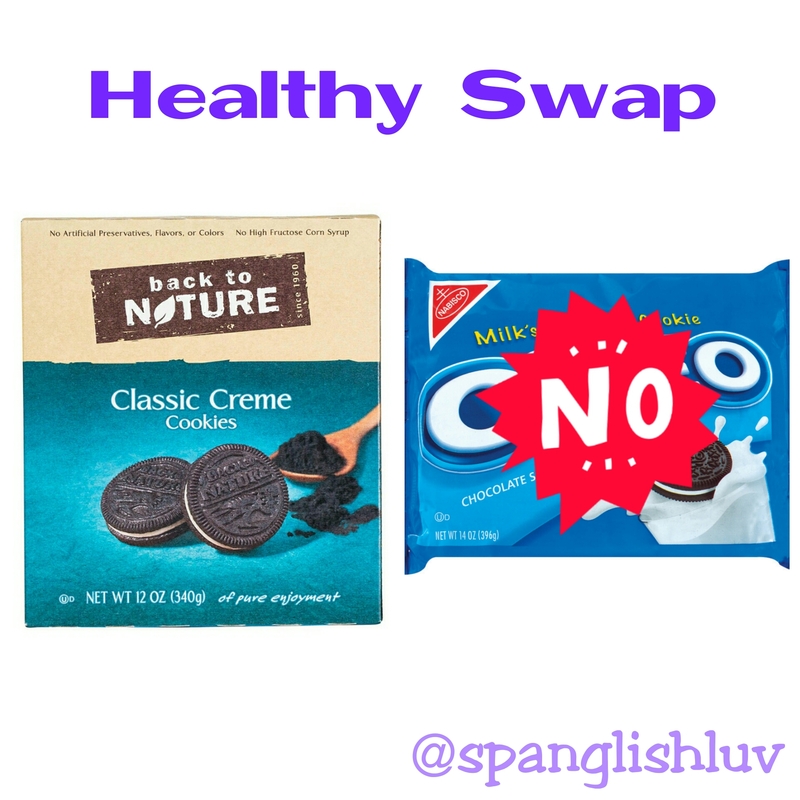 Back to Nature Classic Creme Cookie is the perfect swap for Nabisco Oreo Sandwich Cookie. It tastes just like an Oreo but once you see the difference in their ingredients you will notice that it is made a little better for the consumer. Sometimes it’s hard to let go of our guilty pleasures or foods that bring us back so many wonderful childhood memories but if you can alternate them for better quality products why not take advantage. You are only benefiting yourself, your family, and loved ones by eating food products that will not only satisfy your craving but provide you with better nutrition. Back to Nature’s motto is so simple and yet so true- Better Food, Better Life. I love this company and their concept; very happy to have found them. Back to Nature also makes cereals, cookies, crackers, granolas, trail mixes, soups, and juices. I highly recommend their products. If you would like to learn more about this great company visit their website and find out where you can find their products near you. Ya sé, ya sé que probablemente son fans de una de las galletas más populares, si esque no es la galleta más popular del mundo- la galleta Oreo. ¿Qué no hay de querer? Galletas de chocolate, relleno de vainilla, crujiente, dulce, perfecta acompañada de leche; ¿debo continuar? Y comprendo perfectamente porque yo también soy un fan. Crecí comiendo estas galletas y son deliciosas, pero si estás buscando una mejor alternativa con mejores ingredientes he encontrado el suplente perfecto. Galletas de Back to Nature son una mejor opción a la galleta Oreo de Nabisco. Saben igual pero al leer los ingredientes se daran cuenta que son hechas con mejores ingredientes para el consumidor. A veces es difícil dejar de comer nuestros placeres o los alimentos que nos traen tantos recuerdos maravillosos de la infancia pero si se puede alternarlos con productos de mejor calidad, por qué no aprovechar. Sólo nos estaremos beneficiando a nosotros mismos, a nuestra familia y seres queridos por el consumo de productos alimenticios que no sólo les satisfacen, pero le proporcionarán una mejor nutrición. El lema de Back to Nature es tan simple y a la vez tan cierto- Mejor Comida, Mejor Vida. Back to Nature también hace otros productos de comida como cereales, galletas, granolas, trail mix, sopas y jugos. Recomiendo mucho sus productos. Si les gustaría aprender más acerca de esta gran compañía por favor visiten su página web. Recently my daughter and I were suffering from a sore throat and I know that is one of the first signs of a cold approaching. As you may know at our home we like to stick with natural and organic products so I started to do my research and discovered a home remedy that could help with the sore throat. It’s a tea made with the following ingredients: apple cider vinegar, lemon, garlic and honey to sweeten. It is so simple to make and you may just have these ingredients on hand so it makes it a perfect home remedy. I was drinking three teas a day for a few days and guess what? No cold for me, I made it free. But unfortunately my daughter did fall ill to a cold and I kept giving her the tea and also had her gargle it a few times to help with her sore throat. It really helped her and so far she is in the last stages of her cold. I highly recommend it, it only takes a few ingredients, and it really worked for us. Add two to three cloves of garlic into water and warm in microwave or stovetop. Add juice of half a lemon, two tablespoons of apple cider vinegar and honey to taste. Recientemente, mi hija y yo empezamos a sentir dolor de garganta y sé que es uno de los primeros síntomas de un resfriado que se aproxima. Como ustedes sabran en nuestra casa nos gusta usar productos naturales y orgánicos, así que me puse a investigar sobre remedios caseros naturales para ayudarnos a no caer y si caemos pues que no sea tan grave, ¿no? Descubrí un remedio casero que ayuda con el dolor de garganta muy fácil de hacer. Es un té hecho con los siguientes ingredientes: vinagre de sidra de manzana, limón, ajo y miel para endulzar. Probablemente ya tengan en su casa estos ingredientes a la mano por lo que lo convierte en un remedio casero perfecto. Yo me estaba tomando tres tés al día durante varios días y ¿adivinen qué? No me enferme, la libre. Pero, desafortunadamente mi hija si cayó enferma y seguí dándole el té y también la puse hacer gárgaras varias veces para ayudar con su dolor de garganta. Y si le ayudo porque no cayó tan grave porque la verdad fue sólo un resfriado muy ligero. Les recomiendo este remedio casero, sólo toma unos pocos ingredientes y realmente nos ayudo a nosotras. Agregé dos a tres dientes de ajo en agua y caliente en el microondas o en la estufa. Luego le agregá el jugo de la mitad de un limón, dos cucharadas de vinagre y miel para endulzar. Tengo mucha hambre. ¿Qué voy a comer? Voy a ser una sopa, una sopa de vegetales. I am very hungry. What am I going to eat? I am going to make a soup, a vegetable soup. Ya no tengo hambre. Ya comí. La sopa de vegetales estaba muy deliciosa. I am not hungry anymore, I already ate. My vegetable soup was very delicious.